Charity Registered No: 1131649. Company Registered No: 7007788. Kipling Carriage Driving Group, established in 1995, is a registered charity and a member of RDA (Riding for the Disabled). 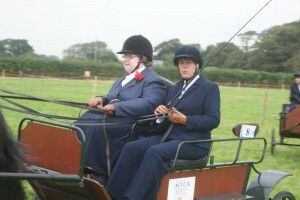 Kipling Carriage Driving Group is also a company limited by guarantee. 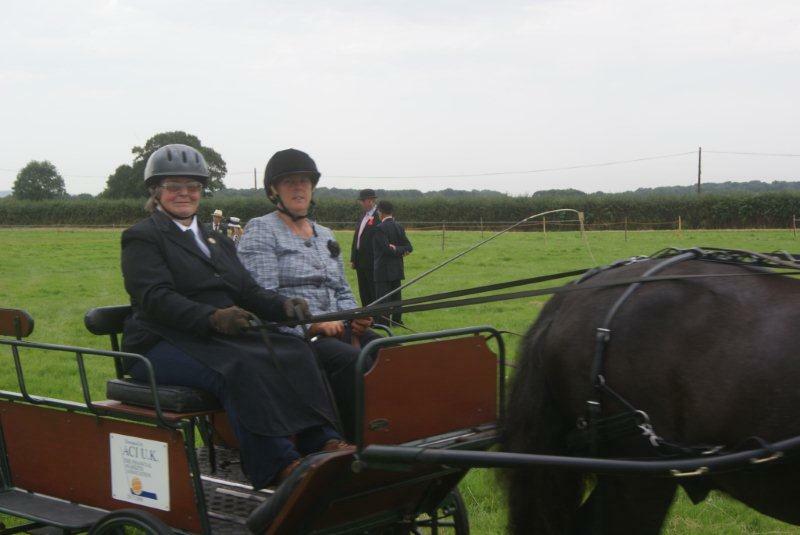 Our aim is to provide facilities for disabled client members to enjoy and discover the delights of carriage driving, and develop their own skills and sense of independence. 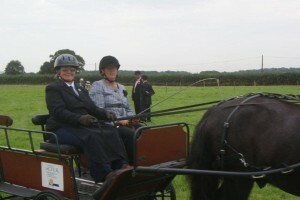 The Group own two especially trained horses and several adapted carriages, some of which are capable of taking wheelchairs. Usually, to meet the needs of the group, additional trained horses are brought along to our meetings. Great emphasis is placed upon safety and every client is accompanied by a Companion Whip who will have passed the carriage driving standards set by RDA. Other volunteers also provide additional safety support in the field. The Group meets every Monday at the end of Sheepcote Lane, near Chalvington. Co-ords: 50.868662, 0.173904 Contact details are in the “Diary” page of this website. We propose to continue a second group that started in 2015, meeting every Thursday at 10.00am. It is proposed that this second group will also meet at Chalvington (now that we can no longer meet at Bramdean). Contact details are currently in the “Diary” page of this website. The Group also attends local shows throughout the year, which may include competitions. In previous years several of our clients have competed at Windsor. In addition the Group aims to take members on a week’s holiday to Norfolk. Here, there is ample opportunity to discover the beautiful countryside and enjoy the freedom to roam over relatively long distances. The Group are always in need of helpers who are encouraged to work as a team, and also to improve their own carriage driving skills. Should you feel you wish to lend your support, then please do so by contacting Judy Barber on 01435-866523. We are very very keen to recruit more helpers – please invite a friend along to help others enjoy the outdoors. Please be reminded that on Mondays, the official finish time for driving sessions is 12.30pm and although clients may have left at that time, volunteers are asked if they would be good enough to stay a little longer to help clear up, with a view to finishing by 13.00pm.